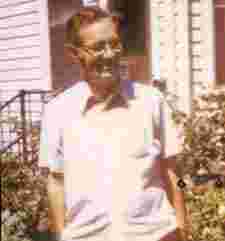 He knew that his father’s family came from Thibodaux, Louisiana, and his mother was from Ireland, and he knew about the 1929 stock market crash and World War II and life in the 1940s. On Tuesday evening at 5.05, Henry Gustav Molaison—known worldwide only as H.M., to protect his privacy—died of respiratory failure at a nursing home in Windsor Locks, Connecticut. His death was confirmed by Suzanne Corkin, a neuroscientist at the Massachusetts Institute of Technology, who had worked closely with him for decades. Henry Molaison was 82. “Say it however you want," said Thomas Carew, a neuroscientist at the University of California, Irvine, and president of the Society for Neuroscience. “What H.M. lost, we now know, was a critical part of his identity." At a time when neuroscience is growing exponentially, when students and money are pouring into laboratories around the world and researchers are mounting large-scale studies with powerful brain-imaging technology, it is easy to forget how rudimentary neuroscience was in the middle of the 20th century. When Molaison, at 9 years old, banged his head hard after being hit by a bicycle rider in his neighborhood near Hartford, scientists had no way to see inside his brain. They had no rigorous understanding of how complex functions like memory or learning functioned biologically. Eighteen years after that bicycle accident, Molaison arrived at the office of William Beecher Scoville, a neurosurgeon at Hartford Hospital. Molaison was blacking out frequently, had devastating convulsions and could no longer repair motors. After exhausting other treatments, Scoville decided to surgically remove two finger-shaped slivers of tissue from Molaison's brain. The seizures abated, but the procedure—especially cutting into the hippocampus, an area deep in the brain, about level with the ears—left the patient radically changed. Alarmed, Scoville consulted with a leading surgeon in Montreal, Wilder Penfield of McGill University, who with a colleague, Brenda Milner, a psychologist, had reported on two other patients’ memory deficits. Soon Milner began taking the night train down from Canada to visit Molaison in Hartford, giving him a variety of memory tests. It was a collaboration that would alter forever scientists’ understanding of learning and memory. “He was a very gracious man, very patient, always willing to try these tasks I would give him," Milner, a professor of cognitive neuroscience at the Montreal Neurological Institute and McGill University, said in a recent interview. “And yet every time I walked in the room, it was like we’d never met." At the time, many scientists believed memory was widely distributed throughout the brain and not dependent on any one neural organ or region. Brain lesions, either from surgery or accidents, altered people’s memory in ways that were not easily predictable. Even as Milner published her results, many researchers attributed H.M.’s deficits to other factors, like general trauma from his seizures or some unrecognized damage. “It was hard for people to believe that it was all due" to the excisions from the surgery, Milner said. That began to change in 1962, when Milner presented a landmark study in which she and H.M. demonstrated that a part of his memory was fully intact. In a series of trials, she had Molaison try to trace a line between two outlines of a five-point star, one inside the other, while watching his hand and the star in a mirror. The task is difficult for anyone to master at first. Every time H.M. performed the task, it struck him as an entirely new experience. He had no memory of doing it before. Yet with practice he became proficient. “At one point he said to me, after many of these trials, ‘Huh, this was easier than I thought it would be,’" Milner said. Soon “everyone wanted an amnesic to study," Milner said, and researchers began to map out still other dimensions of memory. They saw that H.M.’s short-term memory was fine; he could hold thoughts in his head for about 20 seconds. It was holding onto them without the hippocampus that was impossible. “The study of H.M. by Brenda Milner stands as one of the great milestones in the history of modern neuroscience," said Eric Kandel, a neuroscientist at Columbia University. “It opened the way for the study of the two memory systems in the brain, explicit and implicit, and provided the basis for everything that came later—the study of human memory and its disorders.